We decided to grab neighbour Gina and head down to the Middleton Lantern Festival. A very family oriented event and well worth the drive! 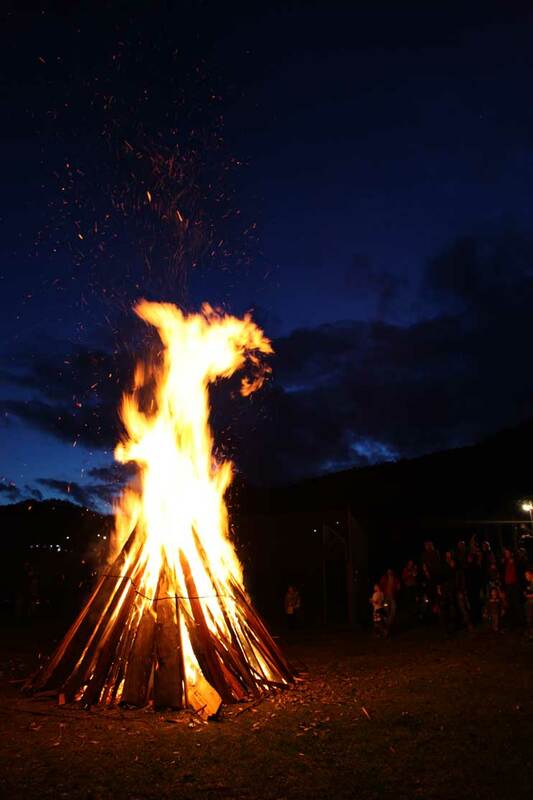 For $10 an adult, you gained entrance, got soup, bb q dinner, cool drink and desert. 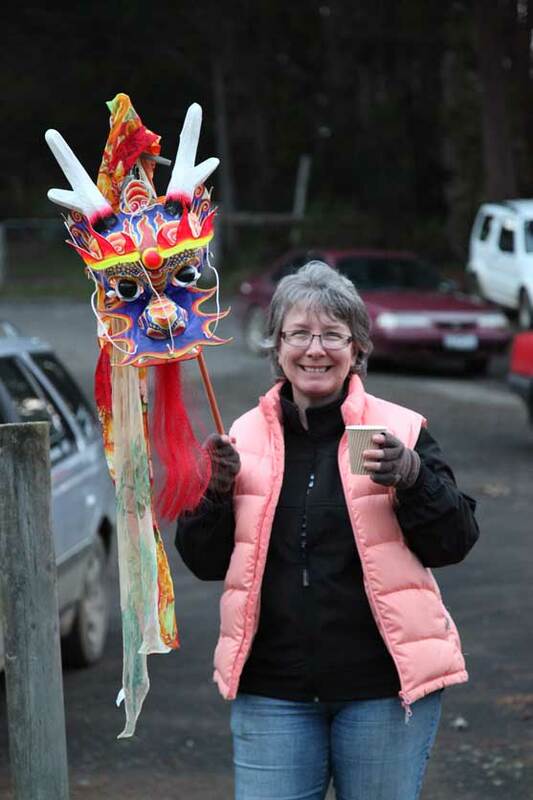 Hot drinks were by donation, and it seemed only fair to support the community with a mulled wine donation. 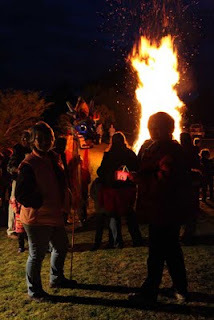 There was face painting and lantern making workshops, music, fire twirler's, and hoola-hoop exhibitions, then the lantern parade started, and the procession wound it's way to the big Bon Fire ready to light when we were all assembled. 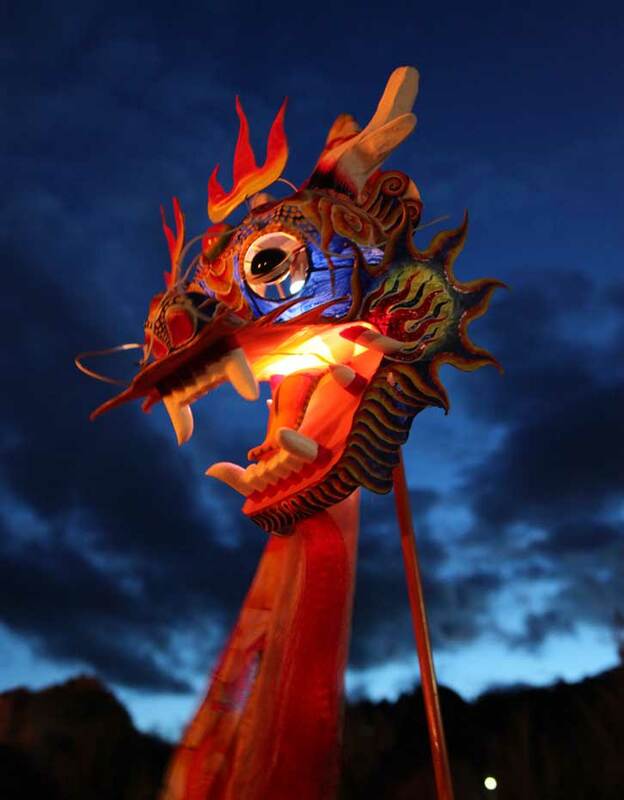 We made our lantern out of the Dragon Kite head, using some battery driven illumination, fixed it to a pole (the higher the lantern the better the year, we heard). Watching the kids reactions to it was great fun. 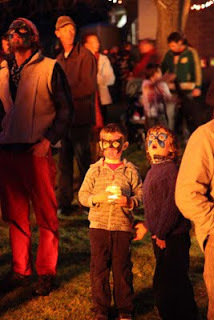 How fantastic to see children, eyes wide with wonder as the fire caught and sent sparks shooting into the night sky. It was all very Pagan and very very fun.